Burdwan has for long been a volatile region and the locally made bombs rarely have to travel far to find a market. When Hara Sheikh, Khairul Sheikh and Azaur Sheikh, all in their twenties, went to the Simulia railway station to buy tickets to Kerala, where they work as construction workers, the man behind the counter took one look at their identity cards and said they couldn’t leave. 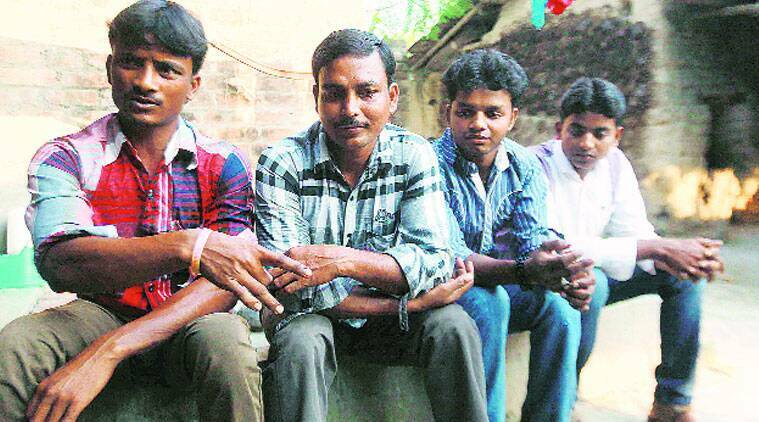 The three men, from Simulia village in Burdwan district, had come home for Eid and were hoping to get back to work but the October 2 blast in Burdwan town, about 30 km from their village, upset their plans. The cast of characters in the Burdwan blast, with Shakil Gazi said to be the kingpin, has lent a distinct communal twist to the incident. Two people were killed in the blast at a house in Khagragarh locality of Burdwan town. Investigations so far point to a bomb-making unit that ran out of this house and whose occupants are alleged to be members of the Jamaat-ul-Mujahideen Bangladesh. The National Investigative Agency (NIA), which took over the probe from the state CID two weeks ago, issued a statement on Friday saying the accused were “preparing IEDs which were being transported to Bangladesh” for possible terror attacks there. The NIA has wrapped up its first phase of inquiry, but people like Hara Sheikh know it’s not over yet. A madrasa in his village Simulia has featured in the police investigation, and now the entire village is in the radar of investigators. Till last week, on the Durgapur Expressway that’s part of the golden quadrilateral road network that connects Burdwan with Kolkata on one side and Dhanbad on the other, search parties flagged down men on motorbikes and meticulously searched their belongings. The lack of subtlety was evident: most of the men who were stopped had beards or other distinct markers. The police held similar searches on buses and other vehicles. A top district police officer, who didn’t want to be named, admitted the search operations seemed to be making a point to Muslims: “you are a suspect”. It was when news of the searches reached their higher-ups in the police that policemen on the roads were told to be more discreet. The Simulia madrasa in Burdwan, where, according to the investigators, all the key players of the Burdwan blast assembled and plotted their undercover operations. 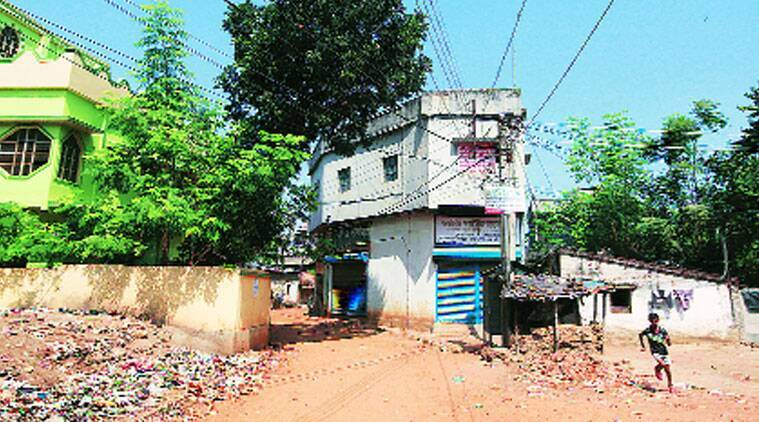 But in Simulia and nearby Burdwan town, suspicion lurks. Word has spread that mobile phone SIM cards should be given to Muslims only after “proper identification and verification” of their antecedents. Muslim leaders in the state have taken to the streets to protest against the “aspersions” cast on the community and for the crackdown on madrasas in the state. The investigation, so far, has focused on an alleged “jihadi” plot in Burdwan, part of a larger cross-country terror campaign involving outfits such as Jamaat-ul-Mujahideen Bangladesh. The BJP, too, has found a perfect pitch that involves Muslims, madrasas, infiltration, Bangladesh and terror networks to attack the Trinamool Congress government and mount enough pressure for the Centre to step in and order an NIA investigation into the incident. 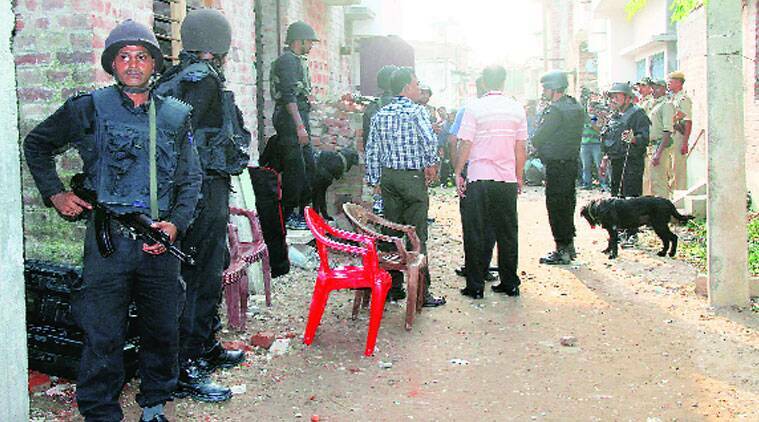 But as The Sunday Express pieced together a picture of the region from talking to people and officials, it is clear that the theatre of this blast — Burdwan, Nadia, Birbhum and Murshidabad — has for long been one of the most volatile regions in the state, the site of pitched political turf wars and extortion rackets. NSG commandos during a search operation at the home of one of the accused, Rezaul Karim, where they reportedly recovered 35 live bombs. This 100-sq-km agrarian and semi-industrial belt, hemmed in by a number of Jharkhand districts, has a large number of crime syndicates that deal in sand quarrying, stone crushery and illegal mining. 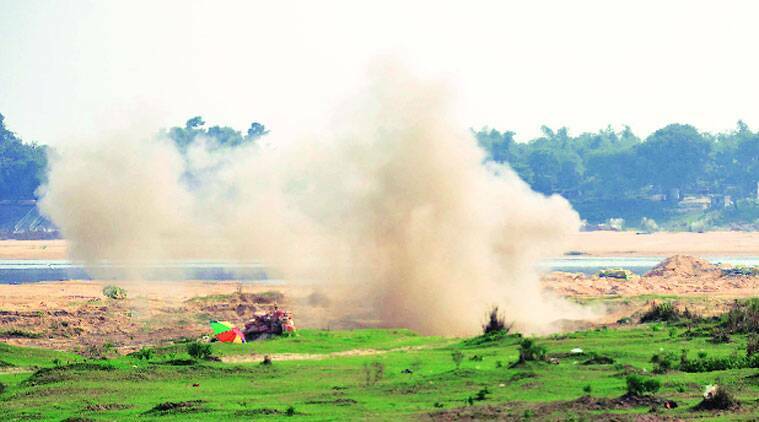 Over 80 per cent of the state’s recorded seizure of explosives comes from Burdwan and nearby districts. Of the 9,000 bombs seized in 2013 in the entire state, nearly 7,000 were from the districts of Burdwan (1,485), Birbhum (2,270) and Murshidabad (2,910). Of the 2,285 kg of explosive substances seized from the state, 1,701 kg were from Burdwan and 143 kg from Murshidabad. Hara Sheikh, Khairul Sheikh and Azaur Sheikh, construction workers in Kerala, had come home to Simulia for Eid but can’t leave for work because of the probe into the blast. The explosives and the bombs that are crudely put together here don’t have to travel far either to find a market. Statistics show how Burdwan, Birbhum and Murshidabad account for a large number of cases in which explosives were used. For example, between January 2012 and June 2014, Burdwan recorded 357 incidents involving explosives. Birbhum had 264 such cases and Murshidabad 600. Besides, this region abuts Junglemahal, the Maoist areas spread across Purulia, Bankura and West Midnapore which witnessed large-scale violence from 2008 to 2012. During those troubled years, the region saw the use of improvised ‘multi-dimensional mines’ that were made out of huge iron pipes. 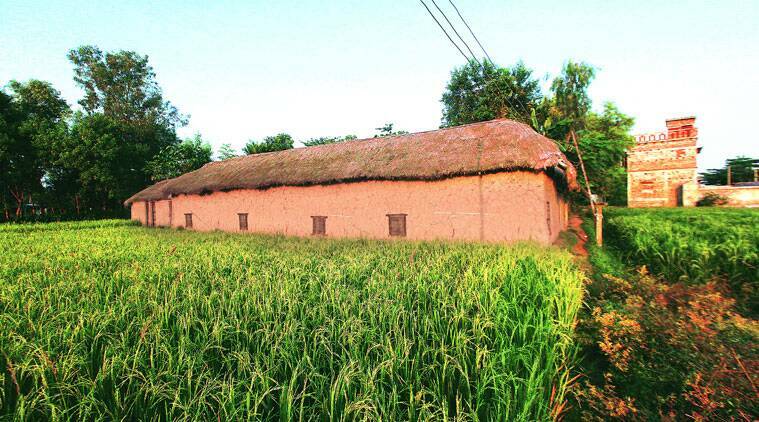 The bomb-making units in Purbasthali, Mongalkot, Raina and Ausgram in Burdwan; Beldanga and Lalgola in Berhampore; Karimpur in Nadia; and villages in Birbhum cater to this ready market. The youth in these villages joke that when the azaan or call for prayers is given, bombs go off in the background and that it’s hard to make out Diwali firecrackers from periodic explosions. 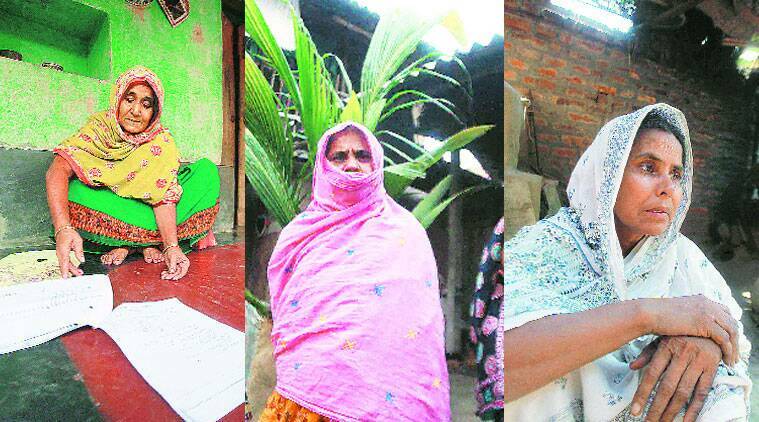 (from left to right) The mothers of Borhan Sheikh, Yousuf Sheikh and Kader Shaikh wait for their sons, all of them accused who are now absconding. Besides crude pressure bombs or hand grenades, the seizures in this belt have included bombs, IEDs, gelatin sticks, powder-gel and gunpowder — some of the explosives that were seized at the Burdwan house after the October 2 blast. There has hardly been any seizure of RDX, the explosive of choice of terrorists. Even in the days immediately after the blast at the Burdwan house, at least half-a-dozen blasts took place in the Khagragarh locality, apparently when the bomb-making units were hastily shifting to safer places fearing NIA raids. Similar, smaller explosions took place in other parts of the region, but these do not seem to have come under the scanner of the investigators. The NIA investigation has, so far, not reached the end of the supply chain. Investigators say the two women who were arrested in the Burdwan case — Razia Biwi and Amina Biwi — confessed that a man called Kauser and his associates usually took the consignments to destinations in Lalgola region in Berhampore, a town in Murshidabad district that has a large, porous border with Bangladesh. Another destination, investigators say, is the Kokrajhar-Barpeta belt in lower Assam. But as the crime data in the Burdwan-Birbhum belt shows, there is no reason to believe that the Burdwan bomb makers did not supply their products to a market closer home. A day after the NIA took over the investigation, it said on its official website that its officers “visited the Simulia madrasa located in Burdwan district, where the accused were radicalised in violent jihadi ideology”. This Simulia madrasa is where, according to the investigators, all the key players of the Burdwan blast assembled and plotted their undercover operations. But neither the state CID nor the NIA found any explosives in the half-a-dozen madrasas they raided since the blast. The only seizure they made was of airgun pellets that were found in the Simulia madrasa, along with a huge volume of religious scripts and literature written in Arabic, which the investigators described as “jihadi”. Air gun pellets are sold in the open market and are not a banned item.